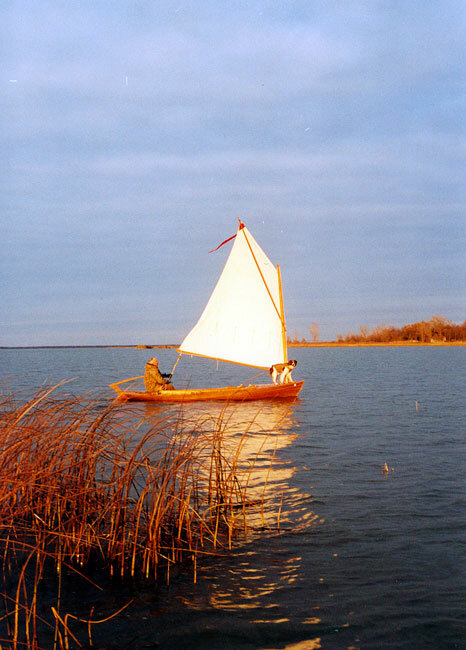 Brian and Brenda Isaacs built this Melonseed skiff in the early 1990s. 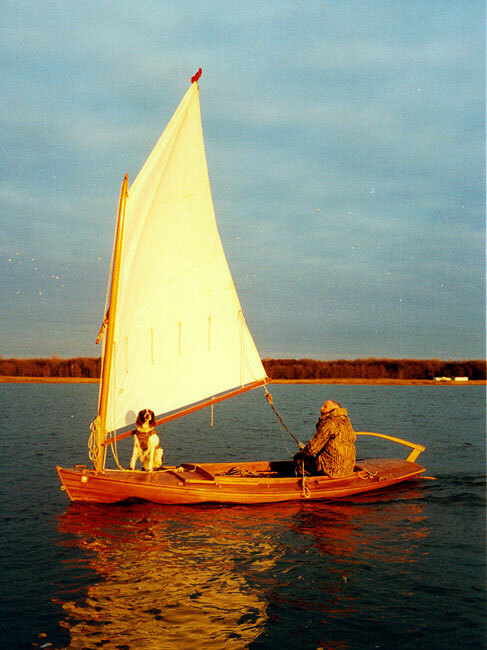 They used the information in Howard Chapelle's book "American Small Sailing Craft," extending the length by 18" to make room for their cargo of children and dogs. The hull is strip-plank cedar covered with fiberglass roving and epoxy. The deck is 1/4" marine plywood. They remark that the boat "is quite stiff, not needing a reef until the breeze hits 20-22 knots."